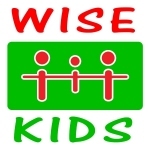 ‘The WISE KIDS (training) conference was not only informative, but I also found it inspirational and enlightening. The topics discussed are a step forward in our current digital age, with the aim of not replacing a working education system, but “upgrading” it to something current. Taking responsibility but removing fear’. We live at a time of almost constant connectivity to the Internet via increasingly commonplace devices like smart phones, tablets, game console, and laptops. The Internet today not only offers great opportunities for education, learning, socialising, business and entertainment, but it is also transforming how we do these things. One of the greatest areas of transformations is in the field of Education. Across the world, educators and learners today have access to rich multi-media content and content creation tools, ‘expert communities’, freely available social and collaborative platforms. These networked technologies are also driving the development of newer, pupil-centred pedagogies which provide new ways of engaging, inspiring and supporting learners and delivering deeper learning. Alongside the immense opportunities provided by the Internet, there are challenges too – as young and old now need to better understand the ‘digital spaces’ in which they operate, and learn to manage their personal data, interaction with peers, privacy, online reputation, as well as exposure to unwanted interactions, inappropriate content and more. These developments point to a need for educators to rethink the digital skills and literacies needed by young people today to be empowered digital citizens, able to manage their safety, whilst fully confident and able to be active creators and participants online. This has been highlighted in the recent Donaldson report, which proposes a key strand of digital competence for all, across the curriculum. This interactive training programme aims to provide secondary school teachers with ideas and strategies for both staff and pupils to develop effective and engaging cross-curricular digital competencies. The session will highlight a range of creative and engaging online tools, communities and services which provide opportunities to develop pupil critical thinking skills; effective collaboration, participation and online communication. It will explore how schools can develop a culture of digital citizenship and wellbeing which embraces positive values and behaviours. The session also draws on research findings from the WISE KIDS Generation 2000 report to develop pupil-led initiatives to support the digital agenda in the secondary phase. Teachers will have the opportunity to reflect on newer pedagogies enabled by digital to enhance learning and teaching across the curriculum.